Imli Chutnee recipe by Mariam at DesiRecipes.com. 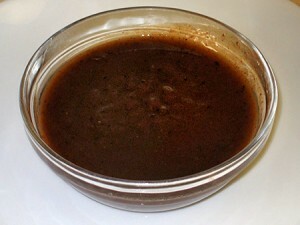 Put tamarind pulp in a bowl with hot water and allow to soak until water is cool. Knead and squeeze pulp away from the seeds. until it is dissolved in the water, then strain through a fine nylon sieve, pushing all the pulp through. If necessary, add a little more water to assist in getting all the pulp from the seeds. Add salt , sugar and other ingredients to the tamarind and stir to mix well. Taste and add more salt if necessary, lemon juice to sharpen the flavor and if liked, a small pinch of chili powder. Imli chutney is reaady ENJOY!